Hi, spuds. 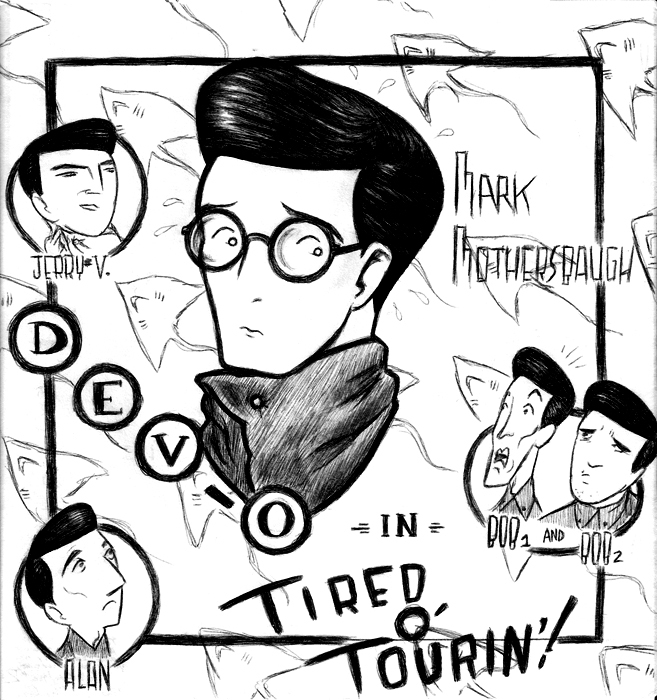 I heard that people have been asking about the Tired O’ Tourin’ webcomic that DEVO featured on the ClubDevo website in the early 2000’s. 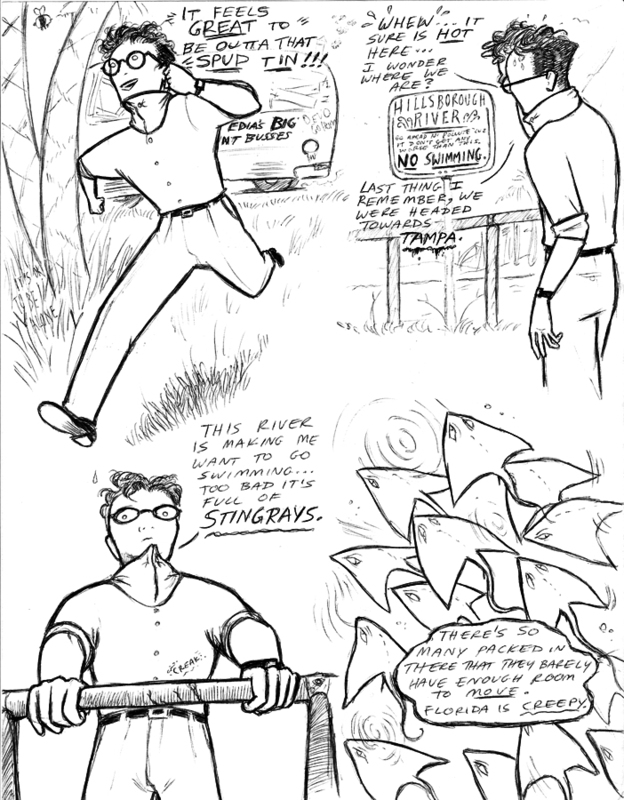 When Michelle and I (The Ladies of the Lake) were introduced to Mark Mothersbaugh at a lecture he gave in Tampa in 1999, he was intrigued when we told him we loved to draw comics…especially DEVO comics! It was one of the ways we survived the drudgery of high school. 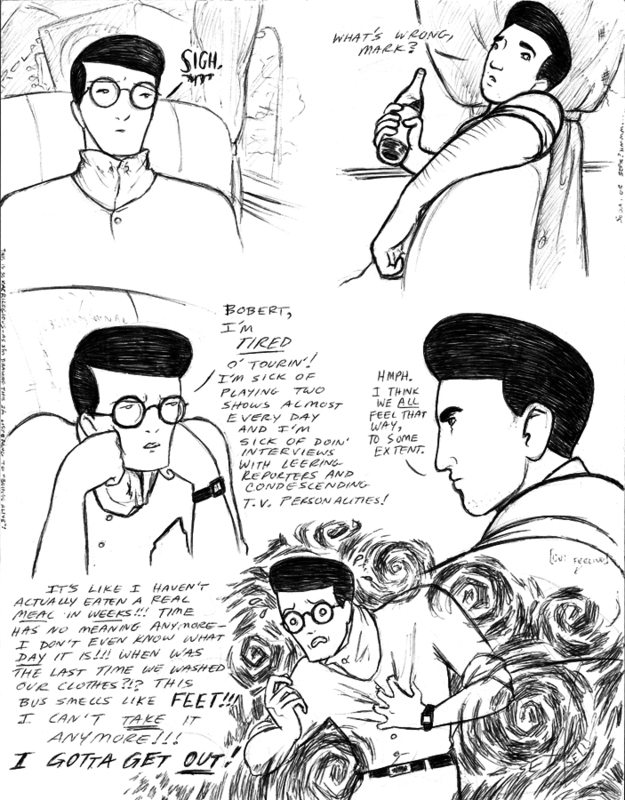 We created this comic, mailed it to Mutato, and Mark was nice enough to pass our comic along to Jerry, who posted it at the old ClubDevo.com. 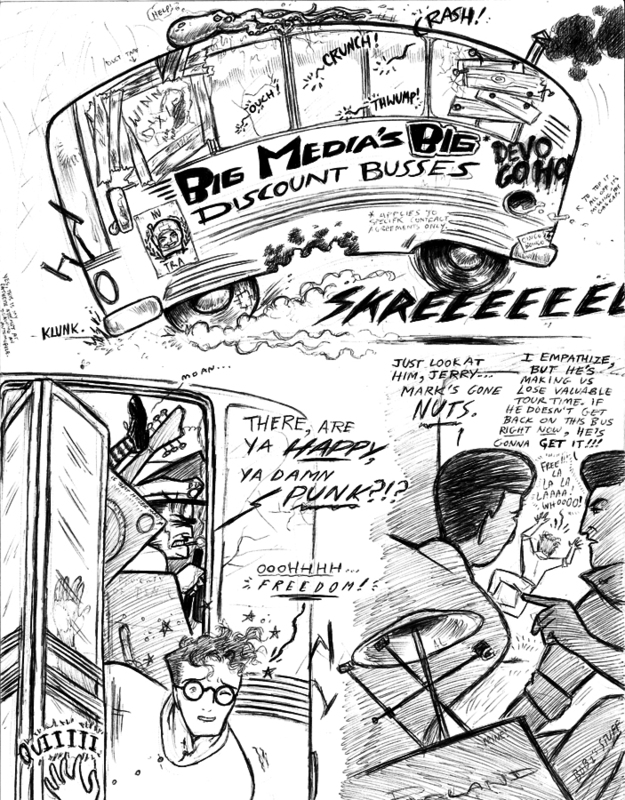 Well, Later is Now, and suddenly, Devo is “hip” again- much more a part of the public consciousness (or sub-consciousness) than when we actually drew the comic! 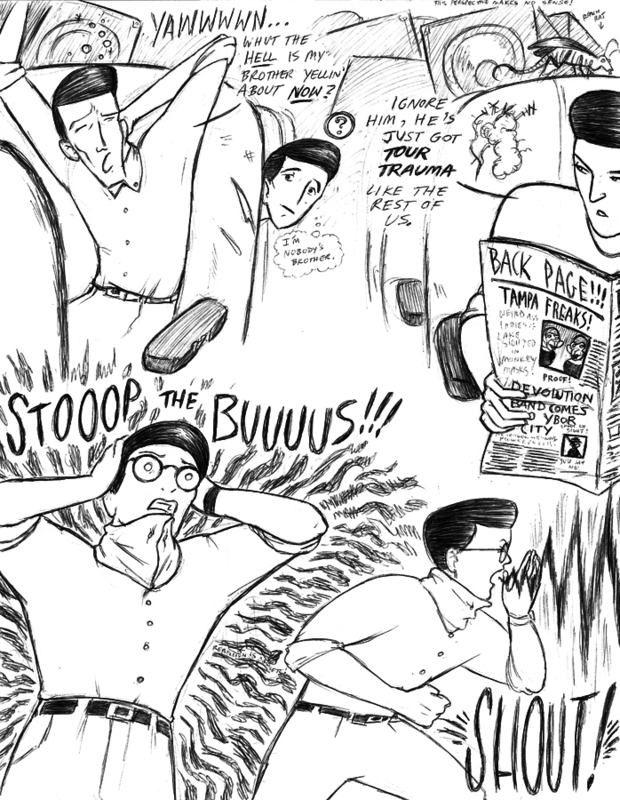 Lately there’s been some demand for Devo cartoons, so I hope this gives y’all some Satisfaction. Arts DEVO > DEVO communes with the canteloupe.